December has flown by, hasn't it? If it's not work parties, then it's kid's school performances and plenty of other holiday obligations. Not to mention the shopping. I'm very much an online shopper, so the less I have to go into the stores to shop, the better. 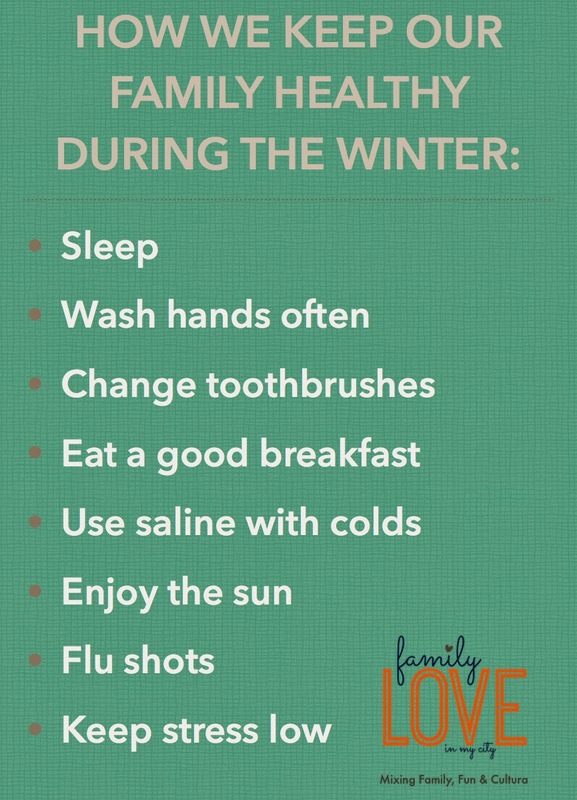 But with all of the busy that the holidays bring, sometimes comes those winter colds. Thankfully we have not had to combat any illness (and as I write this, I worry I'm jinxing myself) but I try very much so to keep my family healthy for the holidays! Sleep, Chill, Repeat - Getting enough sleep is so important for the immune system. I definitely enjoy a winter's nap and if we can sleep in, we do. The darker evenings help with getting the kids to sleep a little earlier. Not over-committing during the holidays also helps us get some good sleep and keeps the stress low. Breakfast and the Sun - Always having some fruit and protein is our norm for breakfast. Luckily, we still have some sunny days in San Antonio where the kids can get some natural vitamin D and exercise in the fresh air. Hands, Teeth and Noses - I swear by saline spray to get my kids through a cold quicker. I feel like it just helps them clear out all of the yucky going on. My kids never really love the nasal spray, but because we have always used it, they are used to it. We wash hands with soap and water always when we get home from shopping, school, eating...everything. And Santa always puts a cool toothbrush in their stocking to help switch out any germs. It's always important to change toothbrushes after an illness, too! And then it's the good old flu shot. I know you've probably heard some stories about whether or not to get it, but after speaking with a pediatrician, my conclusion is that we are all getting the shot. And with that. I can mention about getting covered through the Affordable Care Act. Most people must have health coverage or they may have to pay a fee. So if you are not covered through your employer, be sure to check out EnrollSA or visit the enrollment events listed below to get all your questions answered. 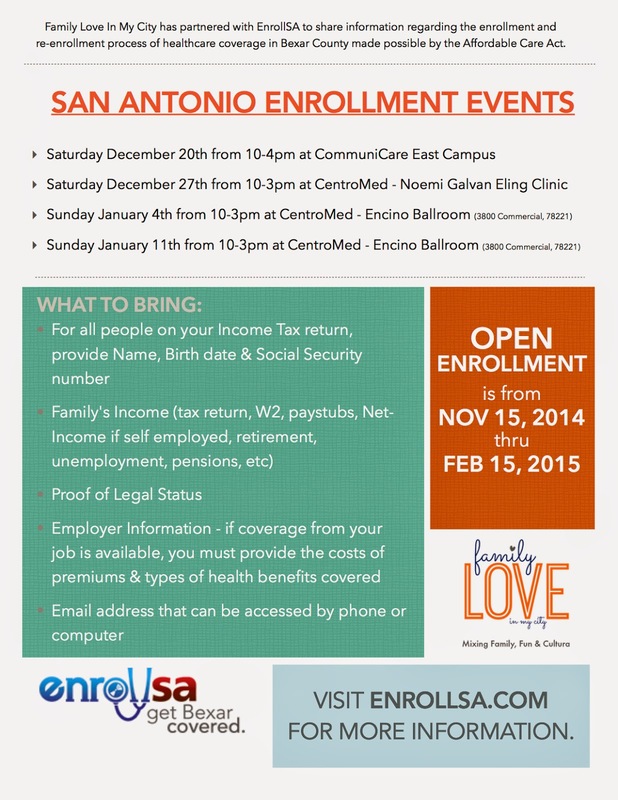 For more information on local events or help with enrollment in Bexar County visit www.EnrollSA.com or call 2-1-1. Wishing you the most wonderful and healthy holidays!